Gov. Jerry Brown and Democratic legislative leaders continued their push Friday for quick approval of higher vehicle taxes and fees to pay for a 10-year, $52 billion plan to upgrade California’s roads and highways with the release of legislative language for two bills that appear to answer concerns that new revenue might be diverted to the general fund or used for the state’s embattled bullet train project. Senate Constitutional Amendment 2 and Assembly Constitutional Amendment 12 both say the new revenue generated by Brown’s plan can be used only for transportation and not be borrowed or diverted for any other uses. The measures do not appear to have the weaknesses seen in two previous constitutional amendments meant to guarantee fuel taxes were used only for road improvements. Proposition 42, passed in 2002, said sales taxes on fuel could not be used for anything but transportation purposes. But it allowed the money to be diverted on a two-thirds vote of both the Assembly and Senate. 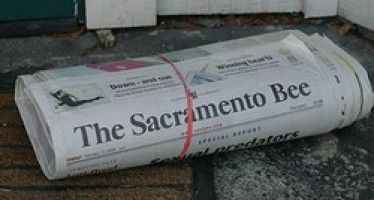 After two diversions in subsequent years, voters in 2006 approved Proposition 1A, a constitutional amendment that said future diversions were OK in times of financial crisis, but would be treated as loans that had to be repaid. In 2010, however, Gov. Arnold Schwarzenegger and the Legislature orchestrated a scheme to unencumber vehicle fuel sales tax funds that was based on a legal opinion that it was OK to adjust both sales taxes and excise taxes on vehicle fuel without overcoming the normal obstacles to tax hikes if the changes were revenue-neutral. The scheme sharply cut fuel sales taxes and sharply increased fuel excise taxes, which were not subject to Proposition 1A protections. This allowed $1.8 billion in fuel excise taxes to be used to pay off previous transportation bonds instead of using general fund dollars. SCA 2 and ACA 12 would forbid the use of new revenue for such bonds approved on or before Nov. 8, 2016. 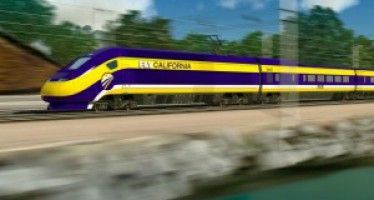 This provision would also prevent funds from being directed to the California High-Speed Rail Authority’s $64 billion project, original approved in 2008. It would raise gasoline excise taxes by 12 cents per gallon, a 43 percent increase, and index them to inflation. It would raise the diesel sales tax from 5.75 percent to 9.75 percent and increase the diesel excise tax from 16 cents to 36 cents per gallon. It would impose a first-ever road-use fee of $100 a year on owners of zero-emission vehicles who don’t buy gasoline and thus help pay for road and highway improvements. It would add a new annual fee on vehicles based on their value, with owners of vehicles worth less than $5,000 paying $25 ranging up to owners of vehicles worth $60,000 or more paying $175. To become law, the two bills need two-thirds support from both the Assembly and Senate, meaning Brown, Assembly Speaker Anthony Rendon and Senate President Pro Tem Kevin de Leon either need some Republican votes or no Democratic defections. They hope to have finals votes taken by Friday, April 6. Meanwhile, in an era in which California Democrats’ hostility to fossil-fuel vehicles keeps building, the new fee on zero-emission vehicles and the divvying up of the $52 billion in new revenue is likely to rankle some. The package’s overwhelming focus is on road and highway improvements; $7 billion would go to mass transit and local public transit systems and $1 billion to new bicycle lands and pedestrian projects. 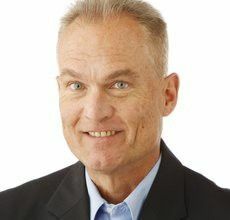 What happened in San Diego County in the Nov. 8 election could be telling. 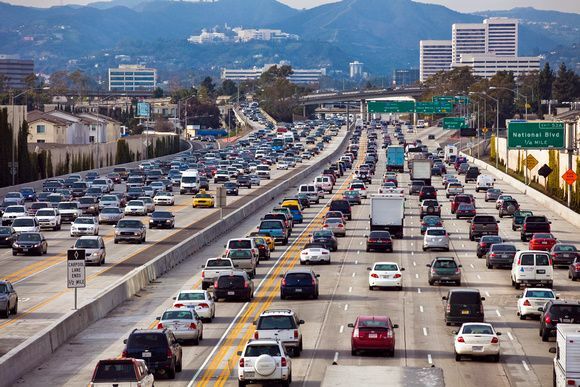 Measure A, an $18 billion program which would have used sales taxes to fund transportation improvements, was crafted by the San Diego Association of Governments with an eye toward winning over environmentalists. Transit and bicycling projects and improvements were to get $8.94 billion of funding, just under half. But Measure A got 58 percent of the vote, less than the two-thirds needed, after being scorned by some liberals for spending too much on roads and by some conservatives for spending too much on transit. That suggests some green California Democrats may not be happy with transit and bicycling only getting a 15 percent cut of Brown’s $52 billion package. California is virtually tied with Pennsylvania for the highest total state taxes (including our cap and trade tax) in the nation on a gallon of gasoline. Yet we have the 9th worst state highway system. Sacramento first needs to explain why — per mile — California state highways cost 4.7 times more than the national average. Or why — with the nation’s highest gas taxes — we can’t build the roads that the other states do with their significantly lower revenues. Instead, what’s the Sacramento solution to our very real road problems? Raise gas taxes MUCH higher. Raise fees on car owners. And this time they PROMISE to spend the money on — ya know — roads and stuff. Meanwhile the runaway train to nowhere — CA HSR — continues to barrel down the track to its inevitable train wreck. At our expense. Should we reward such incompetence with “mo’ money”? Should we believe politicians who — over and over — have lied to us to get tax increases passed? Should we allow them to keep taking our money without first instituting the reforms that work so well in the other states? When the media is comparing state gas tax they never include that when they mention California. And don’t forget we have the highest paid politicians. it cost a great deal to get such incompetence and greed. As the those reading this who voted for these morons wake up. As I recall, Pennsylvania state politicians are the only ones that come close to what we pay our California politicos get. And — no surprise — our states are “top two” when it comes to gas taxes. Typical J. Brown lie, liberal are saying tax increase is to fix road and ask them can you guarantee tax money used for the road, their answer is yes money will go only for the transportation.. Term Transportation doesn’t mean a squat, they will highjack new tax moneys for their favorite project, such as new buses, trains, trolleys and anything else comes under term Transportation. For once Sacramento should be truthful, replace the term Transportation Project with Road Repair. Less than 60 days and we are outta this state! Going to a a tax free state — one that doesn’t loath and fleece its law-abiding citizens. Could not be more relieved! Good luck tax slaves! I’m leaving too! I have had it with this libtard state. Been here all my life and its only gotten worse and the weather is no longer out weighing the taxes and stupidity in Sacramento. Also, they are grooming Gavin Newsome to take over in 2018. He is very scary. I am looking to leave as well. These messages should be going direct to the politicians. All the politicians do is raise taxes for road repairs and to give themselves raises and spend the money on other things and never keep their promises. Our taxes in California is already the highest. We must remove Brown from office. By the way, this will HURT THE WORKING POOR AND THE MIDDLE CLASS THE MOST! They’re going to kill the trucking industry and jack up the cost of everything we buy that is shipped by truck. Diesel going up 20 cents a gallon and then the sales tax on it going up another 4 percent. And huge increases in the gas tax and vehicle registration tax and more taxes to follow. And no matter how much these Demorats steal it will never be enough. Every year they want more and more and for them there are never enough taxes and taxes are never high enough. They are predators, pure and simple. We have heard these “protections” before and Sacramento always finds a way “hidden” in a law on how to get around it. The State should be required to pay back and use all the millions it has “stolen” from the current and previous gas taxes FIRST, and then go to the public for additional taxes to fix what should have been done it the first place. “It would raise gasoline excise taxes by 12 cents per gallon, a 43 percent increase, and index them to inflation” which means this is an ever expanding tax. I have seen “transportation” expenses in Contra Costa County include buses, sidewalks, bike trails, etc. In other words, virtually anything but roads. And guarantees mean nothing. Even if the money from this tax were to go to “transportation” the other transportation dollars could be diverted as before. Guarantees are never guaranteed. Tax the shiite, outta ’em. We need poor people in public offices that understand how people in poverty lives. Re infrastructure payment proposal (Gerry Brown). Why put this on the general public? The main beneficiary of good infrastructure is business. Business requires a way to move its goods, get employees to the workplace and get goods and equipment to the workplace. Infrastructure is also there for policing and the initial reason for the interstates was for military movement. Although we all benefit from good infrastructure the people that make profits from it should be the ones to shoulder the largest percentage of the cost. Not further decreasing disposable income from the general public, or maybe you think of them as peasants. The existing revenue from tags and gas taxes has been mis -appropriated then? WHAT? I run a diesel truck and gas bike, my wife has a gasoline car, all have current tags. I also SMOKE, so I think I pay a good amount of taxes over & above what the IRS wants. Also because of the redundant EPA gasoline chemical adjustments here in CA the dealer I bought my truck from recommends using a fuel additive to preserve the life of my injectors – which keeps them out of the landfill longer. Once again that MORON MOONBEAM a career politician has shown how clueless he is! If that MORON haD ever studied Economy 101 he would realize that this tax increase is going fuel inflation, the cost of goods in this state and harm the people who need their cars just to get to work because not everyone can “Bike to work”! Public transportation is a joke to people who have to drive30 plus miles one way daily because of misguided housing policies of this state makes almost impossible to buy a house here. Oh and let us not forget our tax and spend Governor wants to use “Some” of this tax money to build bike paths and walking trails. Folks you watch not one dime of thelse monies will be spent to fix our Roads! These monies will go to all of Moonbeams pet projects like his HSR from Modesto to Fresno of which the first 118 miles is already Millions over budget and this is on flat land. San Diego is an example; a pot hole in front of my house which is getting bigger daily was reported to cities street division over a week ago and it’s still not fixed! How long does it take to fix? Well a long time when our overpaid public works employees who make more after they retire than while they”work” spend all day sleeping in Rose Canyon! If this happens we should take action against him for misleading us. George Skelton finally turns on bullet train. Now will Dan Morain?